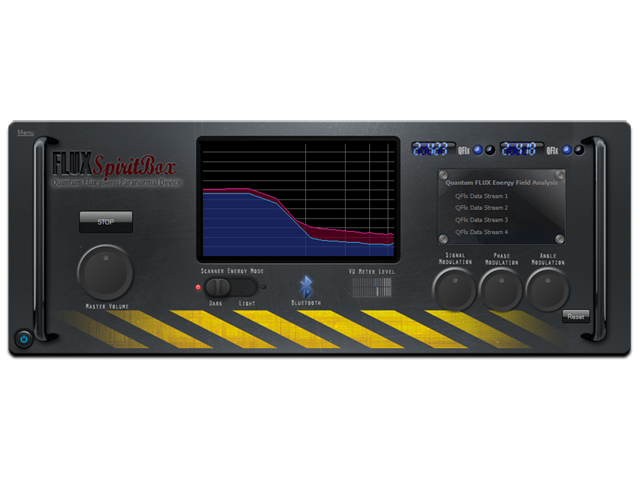 The very first Ghost Box developed by Ghost Hunter Apps, the SB-1 is quite simply amazing. The audio segments are pulled from both US and UK period radio shows from the 1940s era out through to the year 2014. Different in appearance and with features NOT SEEN in the GB-1 or GB-RIFT, the SB-1 stands apart as an advanced Ghost Box communication tool. The SB-1 uses 4,200 micro audio files and carrier sounds to allow spirits to communicate. It reads (scans) the ISM UHF radio range "ultra high frequency" and plays the assigned file that represents Radio Frequency + Signal Strength.